The Tu-95 was designed from the outset as a long-range heavy bomber which remained the backbone of the Soviet Air Force's Long Range Aviation command. Under the Strategic Arms Reduction Treaty (START I), the Tu-95s were carefully monitored as strategic weapons (naturally). Interestingly enough, the Tu-142 series, which were new-production aircraft during those treaty days, were not classified as heavy bombers. The Tu-142 and Tu-142M (Bear F) were maritime reconnaissance and anti-submarine warfare platforms (respectively). 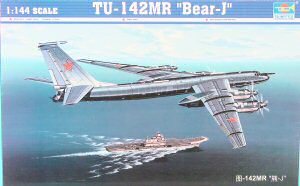 The Tu-142MR Bear J was similar to the Bear F variants except that all of its radomes were removed and a long wire pod was mounted under the airframe to house a trailing wire antenna for submerged submarine communications (similar to the mission of the US E-8 TACAMO). Trumpeter has scaled down their 1/72 counterpart (again) and like the previously scaled down Tu-95 (reviewed here) this is a beauty. 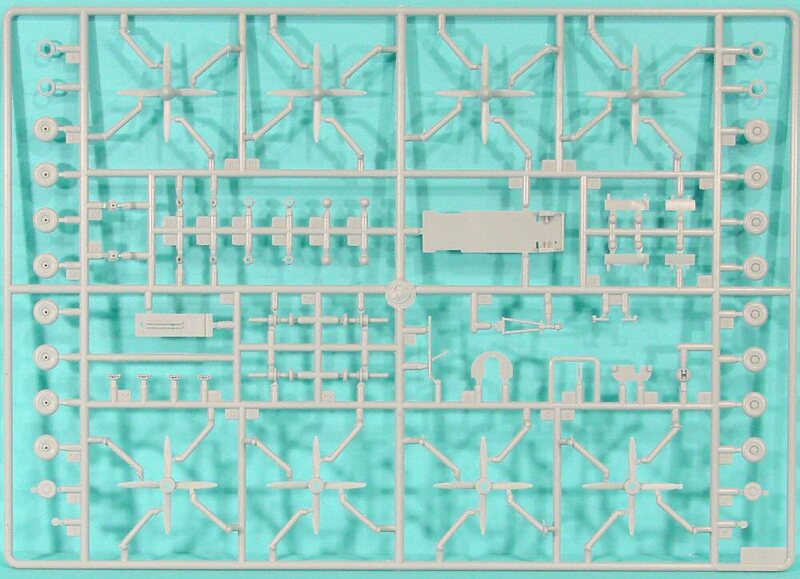 Like the scaled down Tu-95, this kit is also nowhere near as complex either. 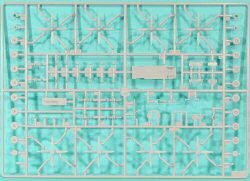 The kit is molded in standard Trumpeter light gray styrene and presented on five parts trees, plus a single tree of clear parts. According to the specs, there are 124 parts in here, all of which are used in this project. 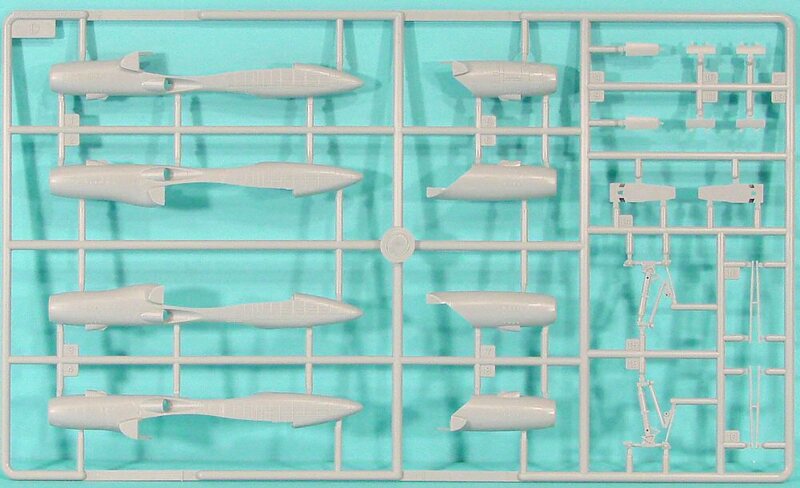 The kit features a simple but reasonable (in this scale) cockpit which will be somewhat visible through the cockpit windows. The instructions don't mention installing any ballast behind the cockpit bulkhead (or anywhere else for that matter), but according to my Mark I eyeballs, the center of gravity seems to be behind the main gear, so I'd add weight to keep the aircraft from becoming a taildragger. Since the mission of the Bear J is communications relay, the kit has a variety of cooling scoops and antennas to feed the various communications systems on the aircraft. 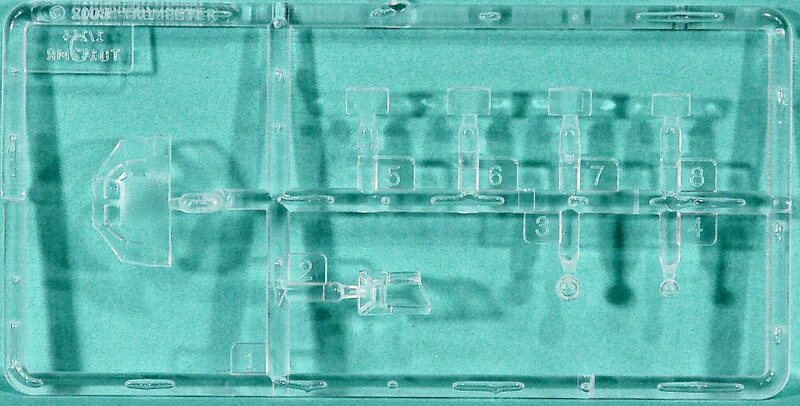 The kit provides a nice array of these details and care will be needed to add these to the airframe, and even more care to avoid knocking them back off again! The distinctive NK-12 nacelles are nicely replicated along with the equally distinctive counter-rotating propellers. 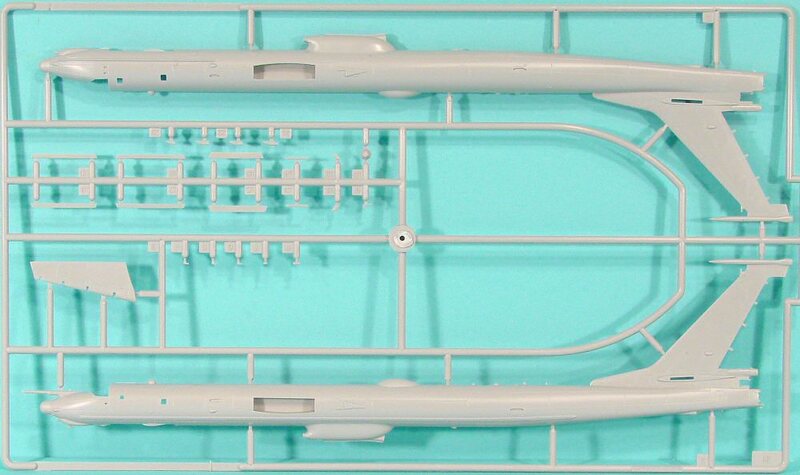 While you might opt to use Crystal Clear in lieu of some of the smaller windows in this kit, the main transparency is the cockpit cap. 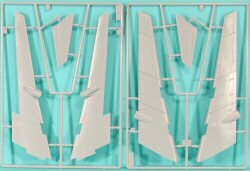 This is molded in such a way that a solid section of the clear part can be glued and any filling accomplished without working too close to the actual cockpit windows. Install the cap, mask the window, paint the airframe. 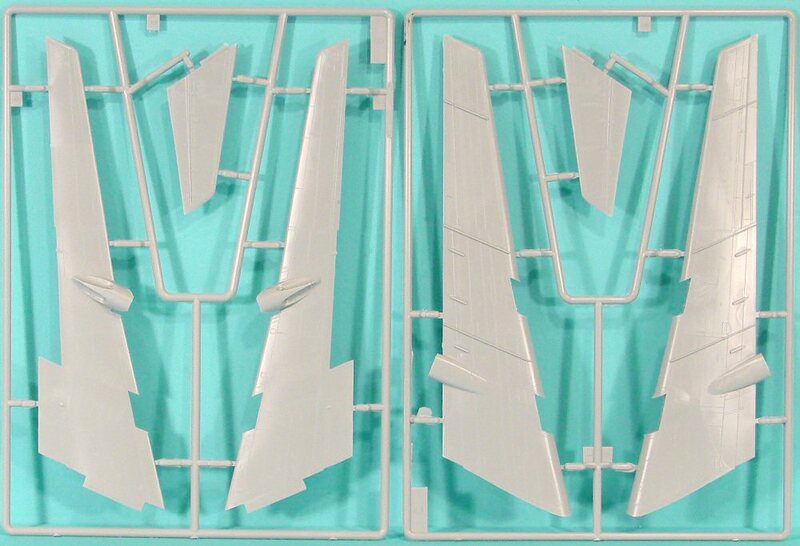 The color profile shows two aircraft (that look the same to me that are both bare metal and have gray antenna domes. As you can see on the decal sheet, they actually give you aircraft numbers for five different aircraft and generic numbers to replicate virtually any Tu-142MR in the fleet. One nice touch is the inclusion of the yellow propeller tips as decals. 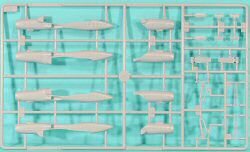 This is a nice addition to your Soviet heavy metal flightline and is in a scale that is still large, but won't require a room addition to display like its 1/72 big brother.